I’ve heard of some pretty expensive cigars before, but nothing as crazy as stogies costing upwards of a million dollars. 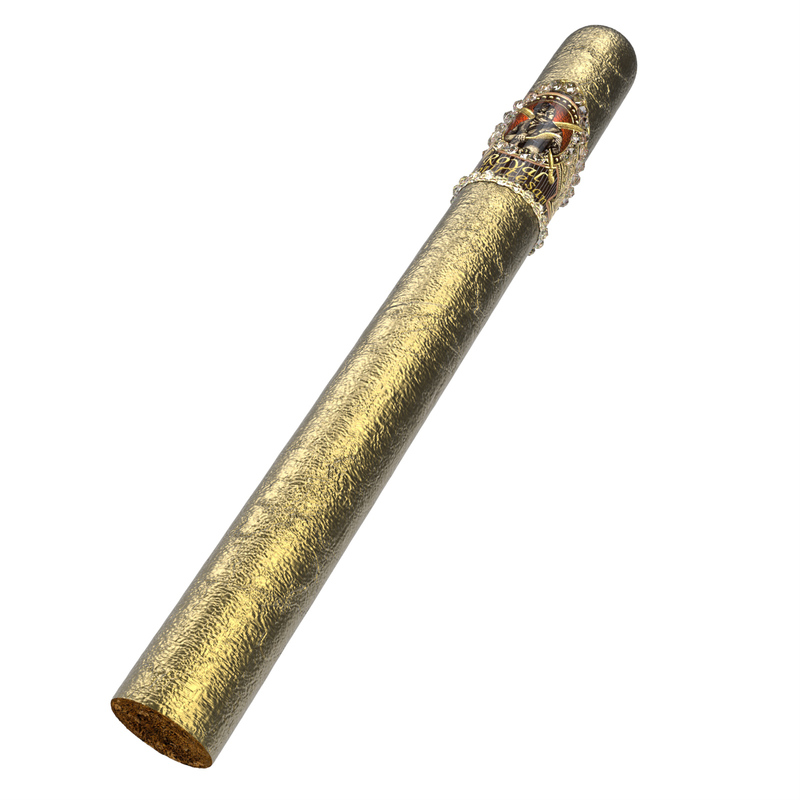 Gurkha Cigars has created The Royal Courtesan, the world’s most expensive cigar. How expensive you ask? Well, how about that it’s so expensive that it comes with it’s very own messenger to hand deliver the product in white gloves. So expensive that they infused it with Remy Martin’s Black Pearl Louix XIII, a bottle that retails for about $165,000. Oh, I’m not done. These Gurkha million dollar cigars are so expensive that they’re hand rolled by a select group of professionals that are blindfolded through the process to allow their senses to guide their movements (what?). Each cigar is made with filler from ancient lands in the Himalays, with tobacco filtered in Fiji water. The wrapper is gold leaf, while the band is encrusted with diamonds totaling five carats. You can’t making this stuff up. It should come at no surprise this ambitious product is coming from a brand such as Gurkha Cigars. They’re known from around the world for their premium cigar offerings, which reaches to more than 70 countries worldwide and produces around 12 million cigars per year. Whatever your palate may be, Gurkha has a cigar for you–just maybe not one that costs a million dollars.